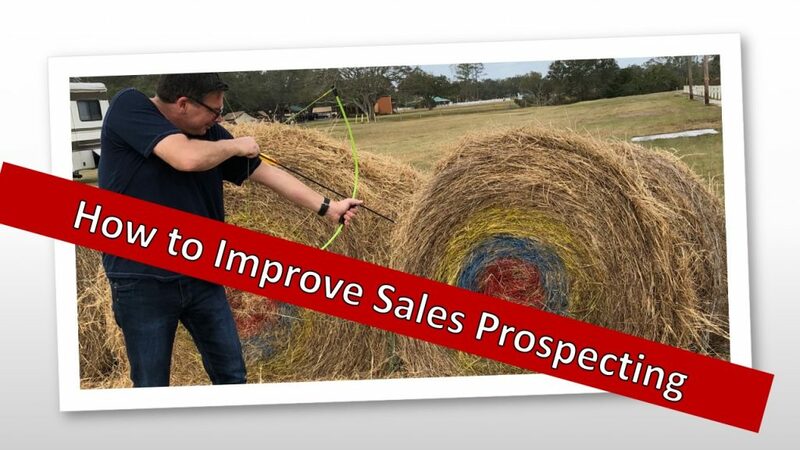 When it comes to sales prospects, most people don’t give much thought to who they target. I often hear that a product or service is so valuable “anyone” will benefit from it. You know everything about your best client. You read what he reads. You belong to groups he is a member of. You speak at industry conferences he attends. You know how he thinks and you speak his language. This knowledge makes it easy to target other people who are just like him. You know what sales message resonates with your client and you can use it to attract new prospects. You understand where your client hangs out so you can identify the proper way to get in front of him. You have an insider’s understanding of the industry so you also have the inside track on getting more clients like your best. When you target clients who are like your best clients you have enormous credibility and you can leverage testimonials that are recognizable. Your seals prospects will recognize your clients from their testimonials. This is an amazing opportunity as it enhances your credibility. Prospective clients will reach out to the people highlighted in your testimonials and they will seek and receive references. What better way to advertise your service than through the words of someone who has worked with you? Your best clients know lots of other people who are just like them. They can connect you with them and they will if you ask. If you’d like additional ways to target ideal clients be sure to pick up a copy of my book: The 60 Second Sale: The Ultimate System for Building Lifelong Client Relationships in the Blink of an Eye.